We left Oak Park on foot at noon on June 28th taking the Green Line to the Blue to O'Hare. The flight to Heathrow was smooth and uneventful. 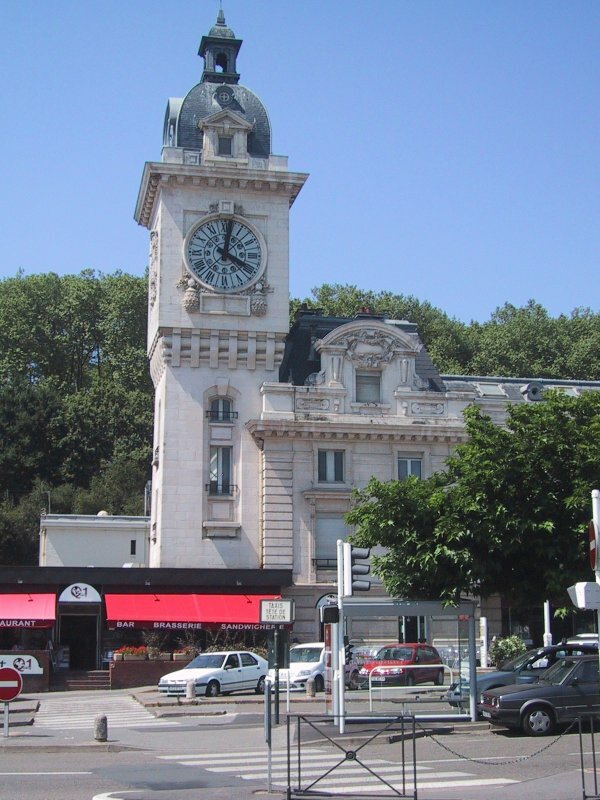 The connecting flight to Paris arrived about 10:30 a.m. on Tuesday and there we transferred to a BMI flight from Paris to Biarritz/Bayonne. 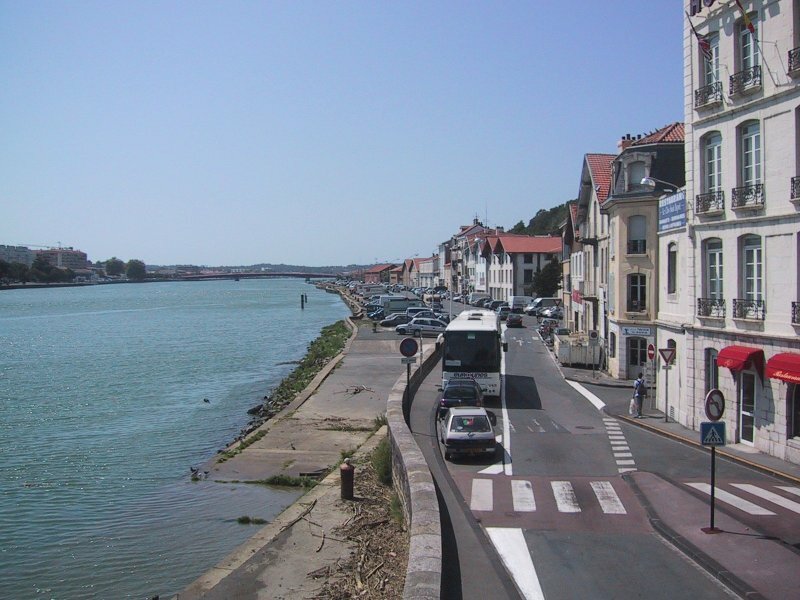 At the Bayonne airport we located a bus to the SNCF rail terminal adjacent to the Nive River - a wide green tidal estuary. Having some time, we walked back to Bayonne and purchased trail maps (we later regretted the scale 1:50,000 which did not provide the necessary detail). 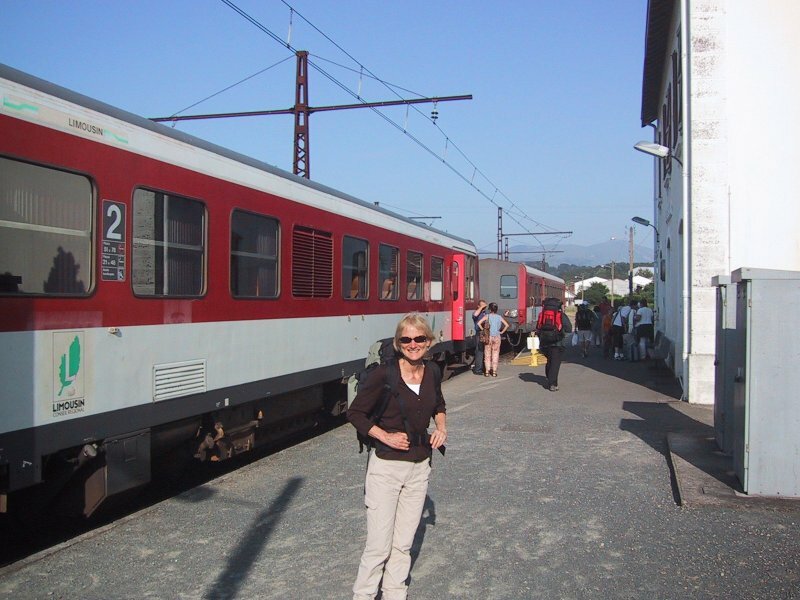 The train left about 6:00 p.m. and an hour later we arrived at St. Jean Pied-de-Port. 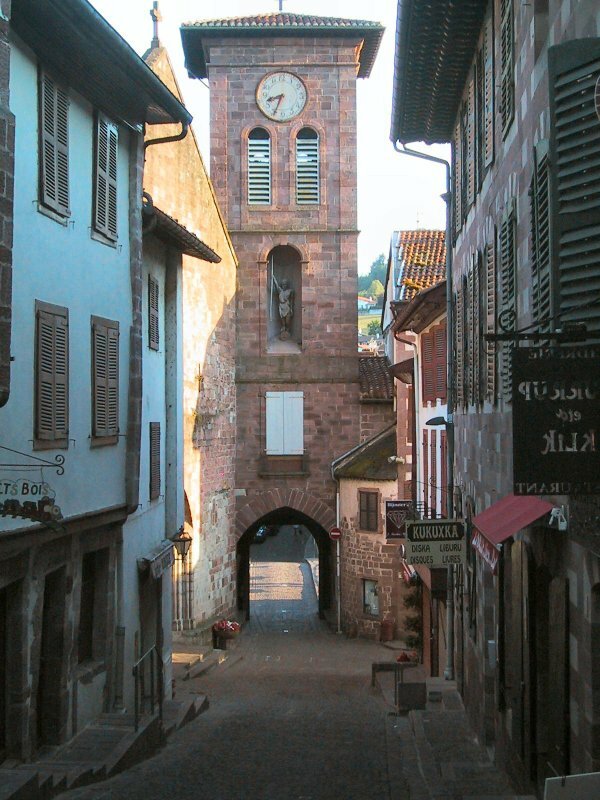 The old city was walled with narrow streets with external gates in three directions. Due to our late arrival we made a quick decision to stay at a gîte (40 Euro) which had a very green room with a tiny bathroom down the hall. 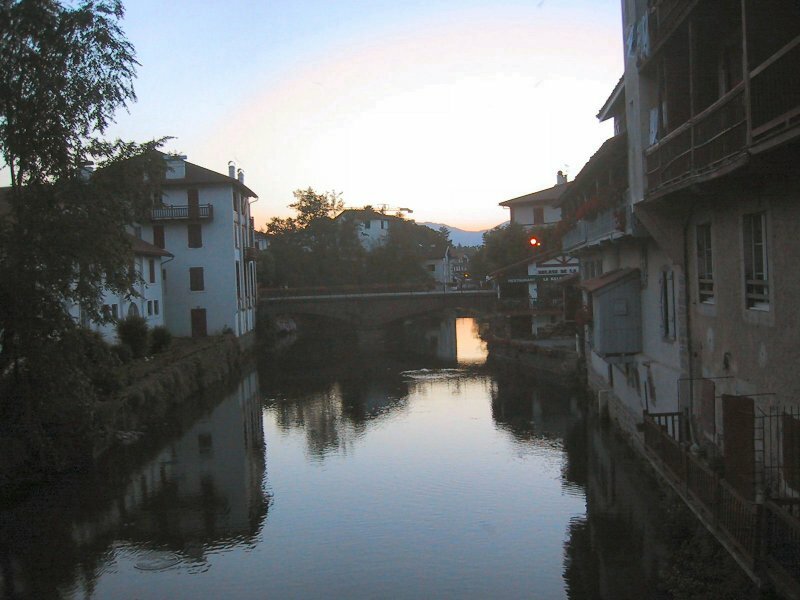 As St. Jean is the confluence of several pilgrim trails from France to Santiago de Compostela, there were many gîtes with the scallop shell sign for pilgrims. Madame recommended a restaurant down the street where we had dinner outside. (At an adjacent table were a number of hikers who we would get to know well in the following days.) Though tired we walked out the south gate where in the twilight by the river we could see sparrows swooping between the banks lined with old buildings. Back to the gîte.